Don’t you love the days when everything is in order and your to do list is under control? Being organized is empowering and makes you feel like you can leap tall buildings and conquer the world! Unfortunately that feeling of organization often escapes many of us, so I was thrilled when Rachel Rosenthal, organizer extraordinaire, offered to share a few tips about how to bring more digital organization into your world. We all make resolutions for our businesses in the new year and they almost always include getting more done, being more efficient, being more productive and overall just being more organized. One of the keys to making all of this happen in a small business is digital organization. How do you feel when you sit down to open emails? Overwhelmed? Frantic? A little scared to open your inbox? Inbox clutter, just like physical mail clutter on your desk can make it really difficult to get things done and be productive. E-mail is what keeps your business going, it’s how you connect to your clients, coworkers, colleagues and just about everyone else, so why not start here? Open that inbox up and start deleting. Look at the first page of emails and see if there is anything that is “junk.” Wherever that junk email is coming from, type that address into the search bar, unsubscribe then delete all. Next you want to move the important stuff into folders. Create folders for things that relate to your business such as emails from clients, contracts, passwords, etc. Anything you need to save should be moved into a folder. Anything that doesn’t make it into a folder gets deleted. How many times have you had someone ask you if you are free and your response is, “let me check my calendar?” Now, how many times have you gone to your calendar and realized that you forgot to put in appointments, can’t read your own handwriting or double booked clients? Basically, your calendar is useless unless you actually use it the right way and that is why I suggest digital. By using a digital calendar you can sync your computer with your phone and be much more likely to always have your calendar with you to update when needed. Also, by typing things into a calendar you will actually be able to read them. Bonus, you can also share your calendar with employees and coworkers so everyone can stay on the same page. Digital organization at its finest! Between Twitter, Facebook, Instagram, Pinterest, Linkedin and more, social media can quickly take up way too much of your time. When you are constantly worried about posting and checking what is happening on all of these outlets, you become less efficient at whatever else you are working on. Integrate social media schedules into your work day so you can give a specific amount of time to social media and make it into a scheduled task rather than an all-day event. Hootsuite is a great site that allows you to fill your queue with Facebook and Twitter posts and schedule when they are posted. Facebook itself now also allows you to write posts directly on your page and schedule them to go out at a later time. Another option is to use a Google Doc or Word Doc to write your tweets and Facebook posts so all you have to do is copy and paste when you’re ready. Now this obviously takes a little preplanning on your part but by scheduling your posts ahead of time you can determine how much time you are going to devote to social media each day or week. 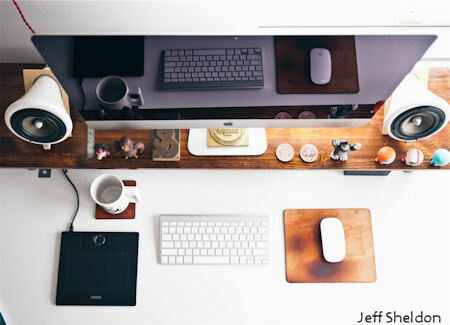 If you are a small business owner, like me, making sure your digital space is as organized as your physical space is a major key to getting more done and being more productive. It takes time and a little more effort up front to make sure the e-mails get to the correct folder or the tweets get pre-written, but it will save you so much time searching for that e-mail or posting that tweet later on. Rachel Rosenthal of Rachel and Company is an organizing extraordinaire – Rachel uses creativity, style and a little elbow grease to help clients get their homes, offices, schedules and lives in order. As a professional organizer and creator of Organized in a Box, Rachel empowers her clients to live more organized, productive lives. Rachel and Company is a full-service professional organizing company specializing in client organization, closet design and organized moves and has helped over 800 clients since starting in 2008. 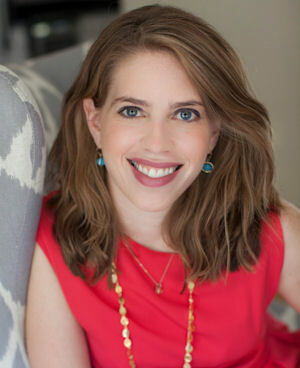 Rachel works nationally with clients, is based in Bethesda, MD and has been featured in publications such as Better Homes and Gardens, Huffington Post, Washingtonian, The Washington Post, Parents, NBC4 and Fox5. Rachel can be reached through her website, Facebook, Twitter, YouTube or LinkedIn.